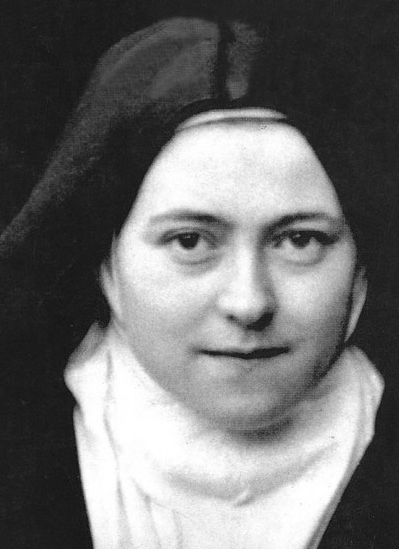 Here’s Day 9 of the St. Therese of Lisieux Novena! this topic to be actually one thing which I think I might by no means understand. your subsequent put up, I will attempt to get the cling of it! Thank you St. Therese for granting me the favor which I asked. I was experiencing a mental disturbance which I feel is spiritual. Well, I’m not all there yet, but yes, St. Therese has helped my mind clear 85%. Why pray to her for mental issues? During her childhood she experienced mental issues and then Our Lady of Victory healed her. I will continue to pray for her and offer a Mass of Thanksgiving for helping me. No doubt, she’ll come through for me 100%. She has in the past, and I am sorry I neglected her for so long. Never again. I have been praying so long and hard for a positive, permanent turnaround for my son. Though that change is yet to come, after completing my novenas this week to St. Monica and St. Therese, I’ve had a few hope signals. So, I continue to surrender, trust, and praise. Prayers for my sister have been beautifully answered. She called me on the Feast Day to tell me that she has finally woken up and seen the truth of her situation and made a difficult but wise decision. She had no idea I was praying for her. She is so greatly loved!!! Father, strengthen our hearts.End our bitterness and harden Our heart’s. Fulfill your love in our hearts. I have bitterness towards bosses and co workers. Help me and all of us to shine. Thank you again God for all your Great Glory. We give you all the honor and Glory. Thank you John paul & Annie !!! I pray for my husband who has an auto-immune disease. The doctors have no idea, they are only treating the symptoms. I pray for patience for me to accept God’s will as well as healing and no more recurring problems for my husband. Dearest Saint Therese, thank you for answering my intercessory prayers as I prepare for the sacrament of Confirmation. I asked you to send me a rose as an indication to choose a specific person whom I have been discerning as a Confirmation sponsor. Yesterday I was browsing the clearance racks at an outlet store and I found a canvas print of a rose. Later, when I came home, I found a dozen roses on the kitchen table as a present for my mom from my dad. Thank you for continuing to pray for me as I continue to discern a possible name for Confirmation as well. Also, please pray for my mom and dad, Little Flower; their wedding anniversary was yesterday as well. God, please bless and protect them on their marriage journey. I thank you dear Lord for giving me an opportunity to work in a different field with a better pay. I ask your anojnting that I may fulfill your will in this job. I know I don’t have the qualifications but I hope in your help and miracles! Amen. It is of great value to understand that our prayers are heard and responded to in ways that we are often unaware of. I have asked that my girlfriend Dianne be lifted up in spirit and that she be relieved of anxiety and depression with the best of responses. She made a remarkable instant recovery and she knows that she has been prayed for. It is further uplifting for me for the gifts of Grace, Faith, Patience, and Hope shone unto us. Daily is the battle to achieve what Our Lord desires for us through prayer and our ability to reflect on His influence on our lives. We must remain ever vigilant and prayerful that we not let out guard down. little satan waits in the darkness for our moments of weakness, so it is of vital importance that we remain prayerful. To simply utter Jesus. Mary, and Joseph is to invoke the Holy Spirit along with all the Angels and Saints in Heaven, and will provide an armor that evil cannot penetrate. In His Holy Name we continue to pray. Lord, work in my husband’s heart so that he will think less about the pleasure he is experiencing and more about the pain he is causing his family. I pray for my relationship, may you let it continue as you had planned for us. Talk to my hubby M.in a special way that he makes the decisions that will make our relationship come back to normal. JO- Ive been praying for the community intentions especially those having difficulty in their marriage. St Therese and the Blessed Mother are both vrry powerful when it comes to interceding on our behalf. Praying your husband’s heart softens soon.